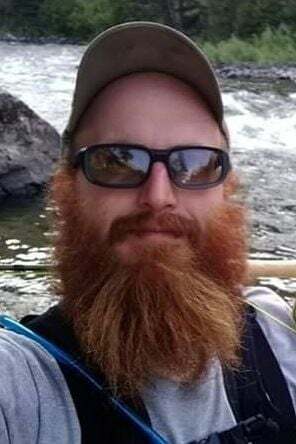 EAGLE RIVER, Wis. — Joshua J. Drinkman, 30, of Eagle River died Tuesday, Jan. 29, 2018, due to a work place accident. Joshua was born June 8, 1988 in Baldwin, Wis., the son of Bruce Drinkman and Debra Doornink. He graduated from Glenwood City High School and was employed with Pukall Lumber Company. Johsua’s family meant everything to him, he loved spending time exploring and traveling with his family. Anything to do with the outdoors he immensely enjoyed; especially hunting, fishing and farming. He will be greatly missed by his significant other, Krista Keeley; and his daughters, Chloe and Lillian Drinkman; and by his father, Bruce (friend Betty Jo) Drinkman; and mother, Debra (Marvin) Larrabee; and his siblings, Angela (Matt) Rose, Samantha (Jon) Kocherer, Cori (Paul) Winter, Ian (Tatjana) McChesney, Mike Liphardt, Jesse (Jessica) Larrabee, Stacy Larrabee, Justin Larrabee and Ashley (Andy) Skoug; and further survived by his paternal grandparents, Fred (Barb) Drinkman; and maternal grandparents, Bud (Jeane) Canfield and Cecil Doornink; and by many other relatives and friends. Joshua was preceded in death by his stepmother, Mari Drinkman. Visitation for Josh will be held from 5 to 8 p.m. Thursday, Feb. 7, at the Downing United Methodist Church and also from 10 to 11 a.m. Friday, Feb. 8 with funeral service at 11 a.m. at the church. In lieu of flowers, a memorial fund will be set up for Chloe and Lilly Drinkman at Royal Credit Union in Menomonie. Online condolences may be shared at www.nimsgernfuneral.com. Nimsgren Funeral & Cremation Services of Woodruff is serving the family.